FOR CLASSIC DC COMICS TV SHOWS! Monday, September 26, 2016 – DC TV Podcasts, which is a podcast network for multiple high-quality DC Comics TV dedicated podcasts, is expanding with an eighth podcast, that is all about taking a trip down memory lane in the DC TV world: DC TV Classics! 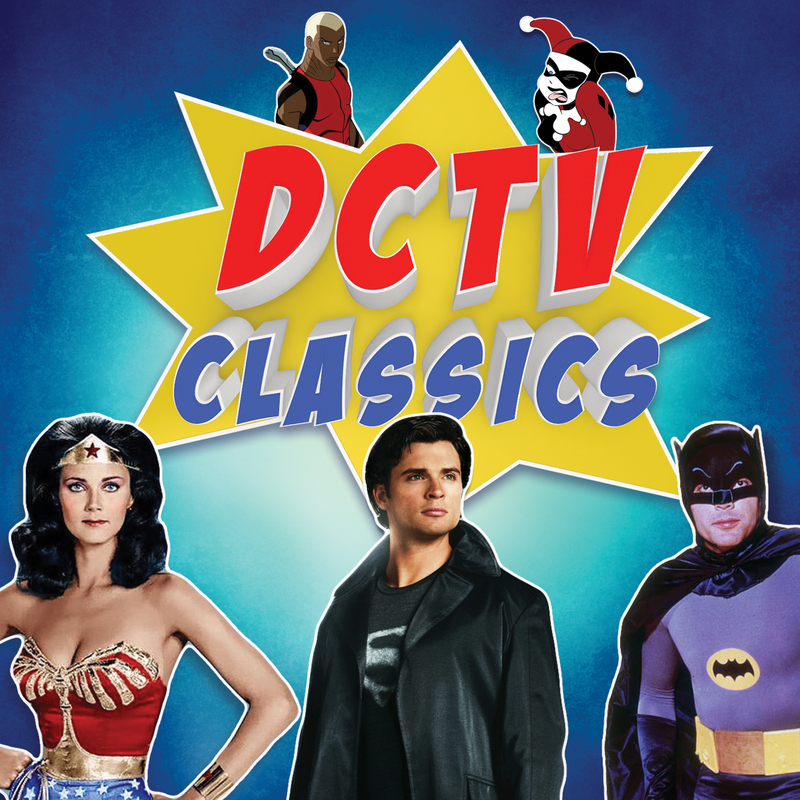 DC TV Classics is a fan podcast devoted to iconic and classic TV shows based on characters of DC Comics that happened long before today’s modern DC adaptations on television. Shows such as The Adventures of Superman, Batman 60’, Wonder Woman, Lois & Clark: The New Adventures of Superman, Smallville, Batman: The Animated Series and more favorites will be covered on this podcast. DC TV Classics will be helmed by a trio of hosts featuring new voices to the DC TV Podcasts Network: Keith Chow (Founder of The Nerds of Color), Britney Monae and Ken Knudtsen who will now be joining forces to cover old-school DC TV shows! The podcast will begin on Sunday, October 2 with the release of their first episode and the show will be hosted twice per month as the hosts take a look at the DC TV legends that came before. DC TV Podcasts is a podcast network that features a collection of high-quality and popular podcasts devoted to DC Comics television series, such as The CW’s Arrow, The Flash, Supergirl, DC’s Legends of Tomorrow, iZombie, FOX’s Gotham, in addition, the DC Films in the DC Extended Universe and classic DC TV shows from the past! Join the hosts of Quiver: The Green Arrow Podcast, The Flash Podcast, Legends of Gotham, Supergirl Radio, Legends of Tomorrow Podcast, DC Films Podcast, iZombie Radio and DC TV Classics every week for news, commentary and opinions about these comic book shows as well as DC Comics films.